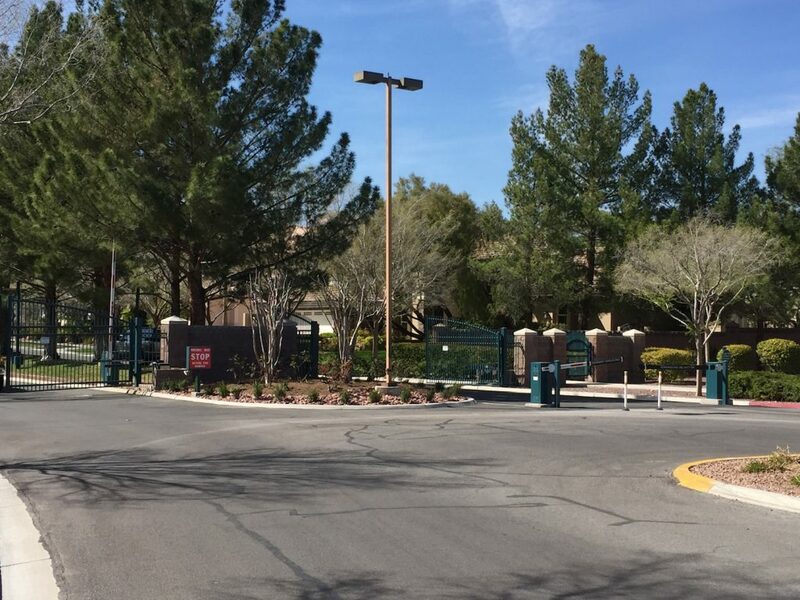 Eagle Hills is Guard Gated and located in The Hills Village of Summerlin, one of the original villages when Summerlin first came on the map in the early 90’s. 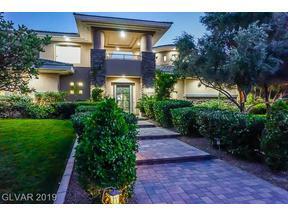 It’s tucked away in a private cul de sac – veer right and you are at Country Club Hills, and continue upon the roundabout and you will find yourself at the guard gated entrance of Eagle Hills. 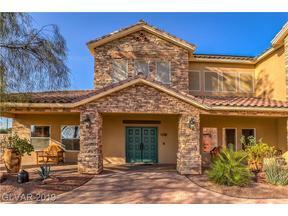 There are 160 guard gated custom homes situated on 1/3 acre, 1/2 acre, to 2/3 acre lots. 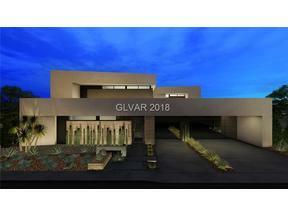 The community is built around a grassy 3 acre park with a walking trail that goes throughout the center of the community, which some of the homes back up to. There are tennis courts and basketball courts. There are NO golf course lots in Eagle Hills. 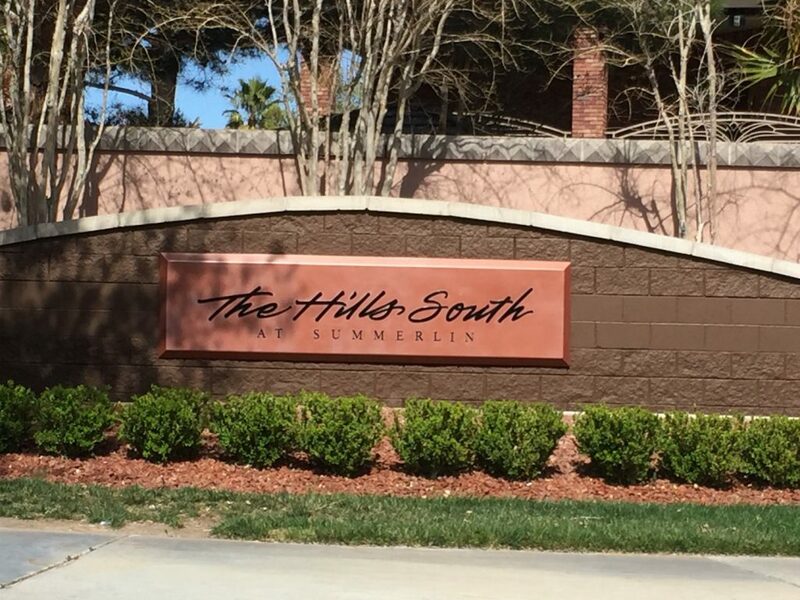 However, just around the corner in the same location are Tournament Hills, Country Club Hills & Corte Bella, all of which have homes with golf course views. 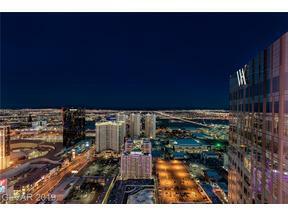 HOA Dues are $408/M for Eagle Hills + $47/M for Summerlin North. 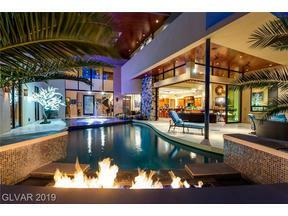 Homes range in size from 3500 sf single stories to over 9000 sf. A variety of home styles make up the community from contemporary, to classic, to Mediterranean. It is lush and tree lined and exquisite. 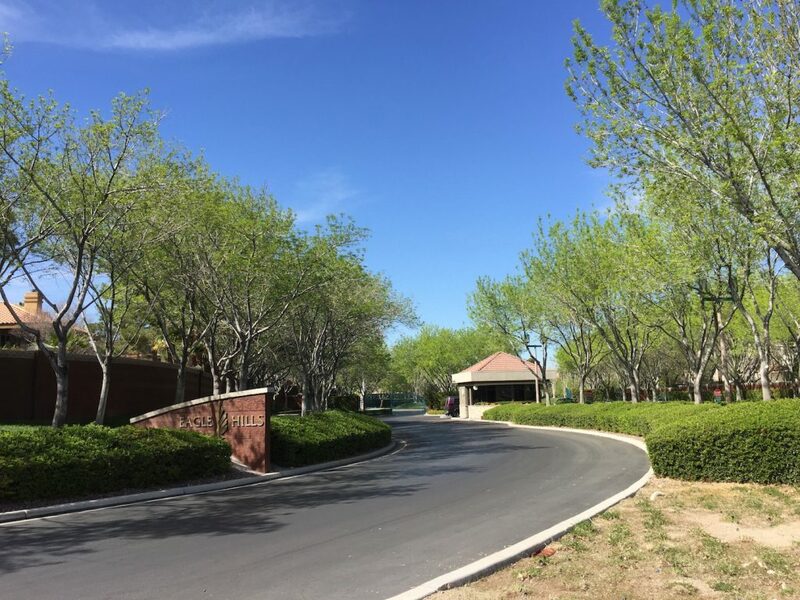 The location is very convenient for Summerlin residents, and one can certainly walk to the TPC Summerlin private course, the library, and the Trails Shopping center. 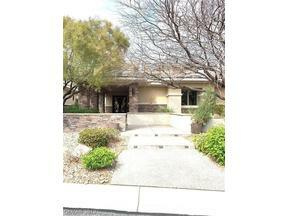 Eagle Hills also has a back entrance which makes ingress and egress great. 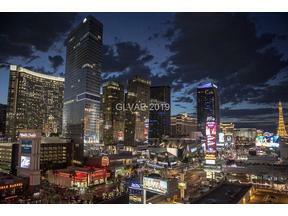 Just out the back gate is Lummis Elementary School, Becker Jr. High, Temple Sinai, LDS Hillpointe Ward, The Hills Park, and it’s about 10 minutes from Tivoli Village shopping complex. 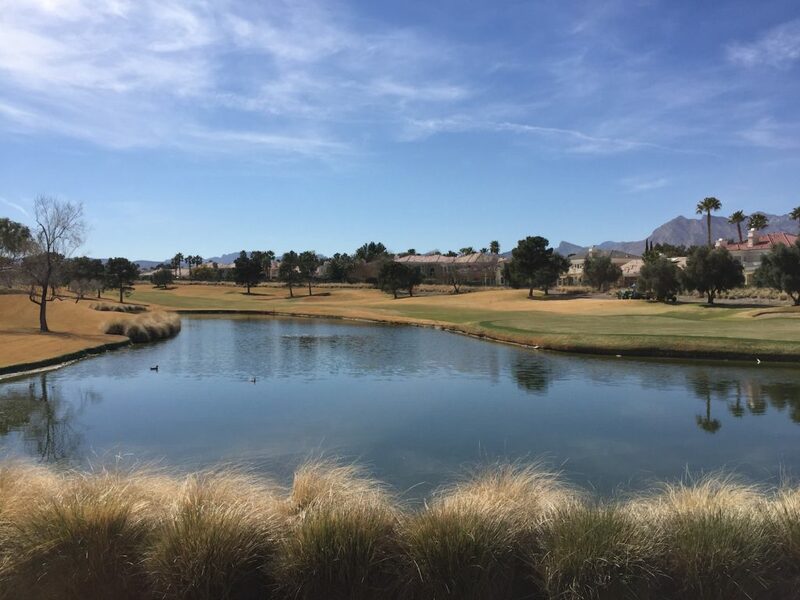 As you exit the back entrance of Eagle Hills, you will pass this postcard view of the TPC Summerlin golf course. Corte Bella, another guard gated community of high end homes built by Toll Brothers, is located just on the other side of the golf course view seen below. Freeway access is just a hop, skip & a jump away as well. 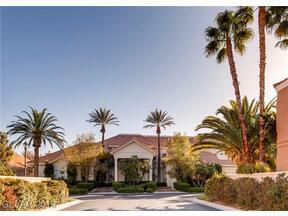 Eagle Hills is near and dear to my heart as I was lucky enough to grow up in this Summerlin neighborhood through my teenage years! 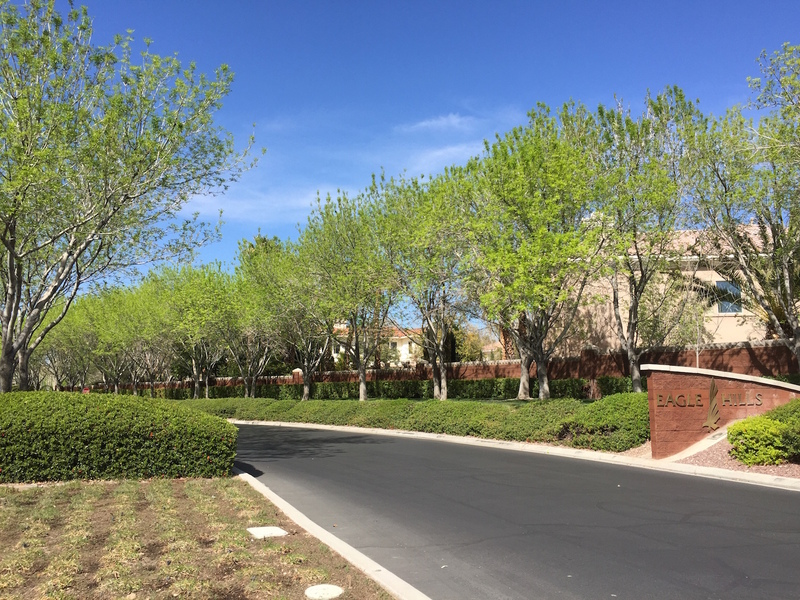 For more information on Eagle Hills, or other Summerlin guard gated neighborhoods, please Contact Us. 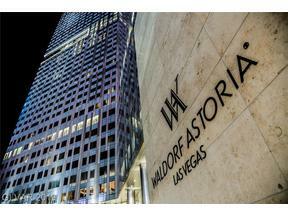 We look forward to helping you with all your Las Vegas luxury real estate needs. If You Like Eagle Hills, you may also like, Canyon Fairways or Tournament Hills.